Invest in the Nest is the easiest way for you to help fund needed items for our school. 100% of Invest in the Nest donations remain in our school! You can make a online payment by clicking on the button below. These donations are tax deductible & many companies will match your donation 100%! If you haven't participated in a fundraiser yet, please consider doing so today! Now you can make a donation to Invest in the Nest in honor of your child's teacher(s). Click on the link to the right and be sure to include the teacher(s) name and special message when prompted during the check out process. Use the links below to link your cards to Ridge Road Middle and help us support your child's education. There is no additional cost to you to link your cards! Shop as you normally do and the store pays Ridge Road Middle a portion of your qualified purchases. Please link your cards today! If you know of any additional companies offering similar incentives, please email rrmptsa.pres@gmail.com. Link your Harris Teeter VIC cards and a portion of your qualified purchases are returned to Ridge Road Middle. Our school code is 7766. Link your Target Red Cards (store card or VISA) and a portion of your qualified purchases are returned to Ridge Road Middle. Our school code is 151460. Our organization is beginning a new era in fundraising - With your help, NO added expense to you, OR Door to Door Sales! How? By purchasing Scrip before you go shopping to use for your normal everyday purchases. 4. Select credit card paynent online and have cards delivered to your home in just 2 days. 5. The group leader, Connie Cabbs will receive an email of your purchase as to how much the PTSA will earn from your purchase. If you select to make payment with group leader and pick your cards up at Ridge Road; the last day to purchase cards, make payments, and pick them up at Ridge Road will be December 17th. Scrip is a latin word that means “anything used instead of money”. When you buy scrip from our organization, you’re purchasing Gift Cards from National Retailers. Now instead of thinking about buying them to give as a gift, we want you to use them just like you would your cash. You can use scrip to purchase everyday budgeted items like food, clothing, and other essentials, and with every purchase, you earn profit for our organization. Can I just buy the gift cards at the store? How does it work? Unitedscrip purchases gift cards on behalf of churches, schools and other non‑profit organizations to purchase large amounts of scrip from grocery stores,local vendors, department stores, and restaurants. Because the scrip is purchased in large volume, in cash, participating retailers offer a substantial discount. Our organization buys the scrip from UnitedScrip at a discount, and re-sells the certificates to families like yours for full face value. The discount ‑ from two to fifteen percent or more – is our organization’s revenue! Scrip is a ‘no brainer’ when it comes to fundraisers - because families don’t have to sell anything. NO DOOR TO DOOR SALES!! Organization members produce revenue or profit for our group by making regular household purchases they would make anyway. National Retailers, A – Z, including groceries, movies, clothing, toys, restaurants, chocalates, shoes and catalogs, online or on the way, gasoline and more - each can be purchased with scrip. Enrollment is Easy, just follow the steps for New User. You can also help your school by saving grocery labels, empty printer cartridges and old cell phones. The homeroom that brings in the most box tops will win breakfast for their classroom! Save your General Mills' Box Tops worth $0.10 each. You can drop off box tops to your student's homeroom teacher or to the office. Box Tops for Education also has a Marketplace through which you can do all your online shopping. A portion of your purchases will be applied to our total goal for box tops collections. To have these purchases accumulate log onto the Box Tops 4 Education at www.boxtops4education.com and create a login for yourself. Once done, you can track the school’s progress towards our goal and shop online at the marketplace. There is a full list of participating merchants and the percent each merchant is paying. It is a great way to help the school and get all your holiday shopping done in one location. 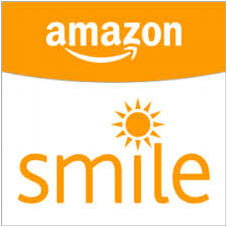 Smile Amazon makes charitable donations to organizations that have signed up. For every purchase you make we get a donation! What's easier than that & who doesn't shop on Amazon! Search PTA North Carolina Congress Ridge Road Middle PTSA & select us as your charitable organization, then shop away! Just make sure you are always on Smile.Amazon!!! PTSA Banner Campaign: All banners will advertise your company, business or service on our outdoor athletic fields and/or in our basketball gym. Our fields and facilities are also used for various community events and by community athletic organizations providing more advertising opportunities to you. The banner(s) will be displayed for the entire school year. Donate for your Company Banner Today!